We provide valuable resources on a regular basis to help you succeed in your real estate business. 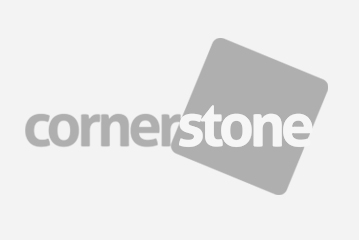 Cornerstone's property management module will undergo major enhancements. We've made major improvements in our Accounting module, making it easier to generate financial reports and keeping transaction records. Today's topic is all about payment collection and property pricing problems and how to deal with them efficiently. We will be unveiling two major problems when it comes to managing a real estate business without using a reliable system and possibly provide direct solutions to them. Cornerstone aims to be the first ERP solutions for real estate in the Philippines to incorporate machine learning capabilities to its system. Here are some valuable tips on how you can manage your real estate business operations productively. You may wonder what's the real benefits of using Cornerstone for your real estate business, this article highlights some of the benefits in using Cornerstone that you can't find in other real estate management system. Cornerstone analyzes how Philippine real estate industry is progressing and highlights how the system can help real estate businesses grow. On August 25, 2017, Ciudades Development Corporation officially signed adding to the list of developers who trust Cornerstone as their real estate management system. Present on this event was Ciudades' Chairman Benedicto Siy, Vince Siy - President, Chat Saludes - Accounting Manager and Cornerstone's Head of Marketing, Eugene Fajura. You may be among the many real estate investors wanting to find the right real estate software which allows you to increase cash flow, rates of return and profitability. But you don't want the piles of paperwork, time consuming formulation of documents and all the other headaches that come with spread sheets and physical filing. If this is you then the next and most important step is deciding which software is right for you. ​Integration of system in the company is an essential thing in the business world today. As competition arises in the market, a disjointed and not so integrated system will bring down the productivity and profitability of the company. An Enterprise Resource Planning (ERP) is one effective way to enable integration to the business process, once implemented successfully that makes achieving goals effective and efficient.